Unlike most industries, hiring a roofer poses a significant risk to the consumer due to the lack of thorough background checks that is required by legislation. This means the contractor you choose to repair your damaged shingles or even to replace your entire roofing system could be either unfit or unqualified to get the job done, which could mean more money out of your pocket in the long run. For one, if a Newnan roofing company isn’t insured and licensed to perform roofing repairs, an accident could result in you being held liable. Additionally, if the roofer doesn’t have the experience or skill necessary, and they make a drastic mistake, you could be the one that suffers when you eventually have to pay a new roofer to fix the mistake. These scenarios are why you need to thoroughly research whichever Newnan, Georgia roofing company you may have your eye on. 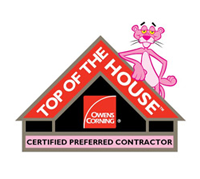 Arguably the most important criteria a Newnan, Georgia roofing contractor should meet is being fully licensed and insured to perform the work necessary for any given roofing job. For instance, a reputable roofer like Eagle Watch Roofing carries an adequate amount when it comes to liability insurance to cover any damages and/or accidents. While these instances are rare, having liability insurance in place to protect the homeowner from the burden of paying for damages should be one of the biggest priorities for any reputable contractor. 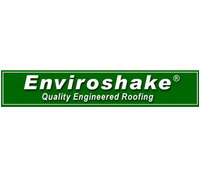 Additionally, by ensuring your roofer is licensed to perform the work you hire them for, you’ll be lessening the chances of mistakes being made. After all, a highly skilled roofer with the proper licensing and experience will know how to get the job done as safe and efficient as possible. Another trait you can use to gauge whether or not a roofer is right for the job is the results of some of their past roofing jobs. 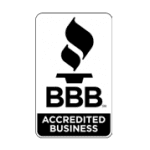 You you should be able to find in-depth customer reviews and testimonials on the company’s website, or you can always do a quick google search to find reviews from third-party websites like Angie’s List. Beyond the endorsements of their past clients, you should also look for additional awards and accolades, which will be showcased on the company’s website. 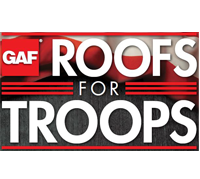 One of the final elements that make up a reputable Newnan, Georgia roofing company is the willingness to guarantee the quality of their work with a warranty. When a roofer does not provide such a guarantee, you can almost count on their work being subpar. After all, if the roofing repair or replacement is as incredible as the company promises, there should be no reason — barring a weather related emergency — for a customer to need further work.